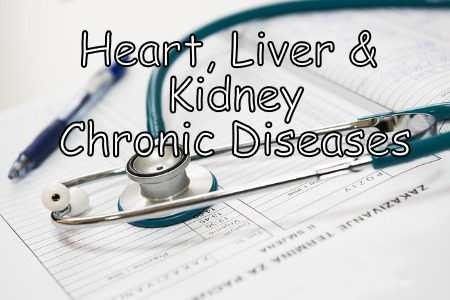 Millions of Americans suffer from chronic diseases and ailments such as heart disease, kidney disease and liver disease. For some, this has hindered or completely taken away their ability to function normally on a daily basis, let alone continue working. If you or a loved one is suffering from a chronic disease and is seeking disability, seek the assistance of a seasoned Philadelphia insurance disability lawyer. At Edelstein Martin & Nelson, LLP, our firm’s lead attorney is a pre-eminent disability lawyer with nearly 30 years of experience. Attorney Keith L. Martin can evaluate your particular chronic disease or ailment and help you determine your best options in seeking disability. Our firm’s practice is devoted entirely to individual and group disability insurance and will make sure to maximize your payout. We serve clients in Philadelphia’s Tri-State area, throughout the state of Pennsylvania¹ and across the United States. To arrange a free initial consultation with an experienced lawyer, call 215-858-8440, toll free 866-532-2504 or contact our law firm online. Our law firm is compassionate to you and your family’s needs during this difficult time. Hearing the news from a doctor that an ailment is chronic and incurable is hard to comprehend or deal with. We will take care of all insurance and disability claim matters for you so that you and your family can focus on adjusting to life with a chronic disease. If you are not able to come to us because of your chronic disability, we will not hesitate to come to you. We are available to handle cases throughout Pennsylvania and also nationwide. To schedule a free initial consultation with our disability lawyer, call 215-858-8440, toll free 866-532-2504 or contact us online.